Ibuprofen is an amazingly effective and impressively safe pain killer. 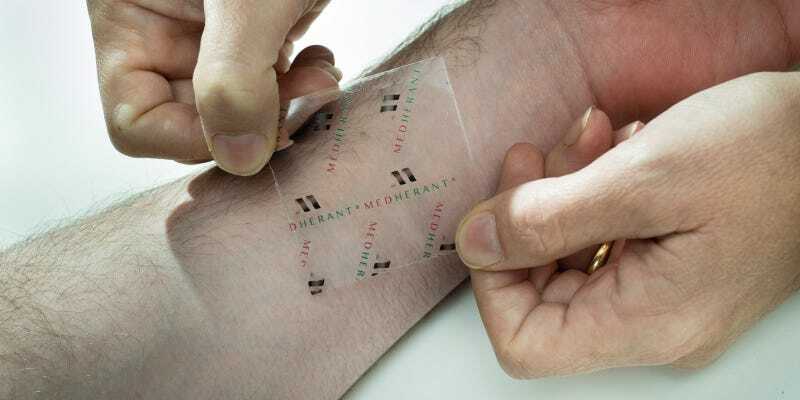 Now, researchers have created what they claim to be the first ever ibuprofen patch, that’s able to conform to the skin and provide a steady release of the drug for up to 12 hours. The team has managed to ensure that those high drug loads are delivered consistently over time, allowing the ibuprofen to diffuse through the skin steadily over the course of 12 hours. The patch itself is said to be ‘highly tacky’, allowing it to adhere to the skin and move with the wearer’s body. Its staying power will make it easier to control dosage, and will also avoid the need for reapplication over the course of a day.